Xenocode is an IT company that develops next generation technologies designed to make the world's software available instantly, anywhere, on any device. 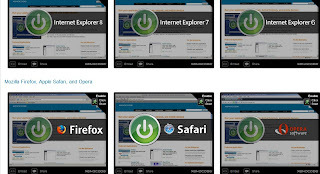 Xenocode Browser Sandbox is a project that allows all popular Windows browsers to be run simultaneously, directly from the web, including IE, Firefox, Safari, Chrome, Opera. Why we need Xenocode Browser Sandbox? The best pint is they do not have to install these browsers into your computer, just direct download them and running as an isolated portable executed file. They do not associate and write anything into computer system, so you can run them with any Windows version, even like IE6/7/8, side by side. It is very good for people who want test different browsers, download - running - delete, all are so simple.